Reservations are now available for the 2016 Nike Site Summit tours on August 6, 2016 and September 11, 2016. Click here for more information and reservations. 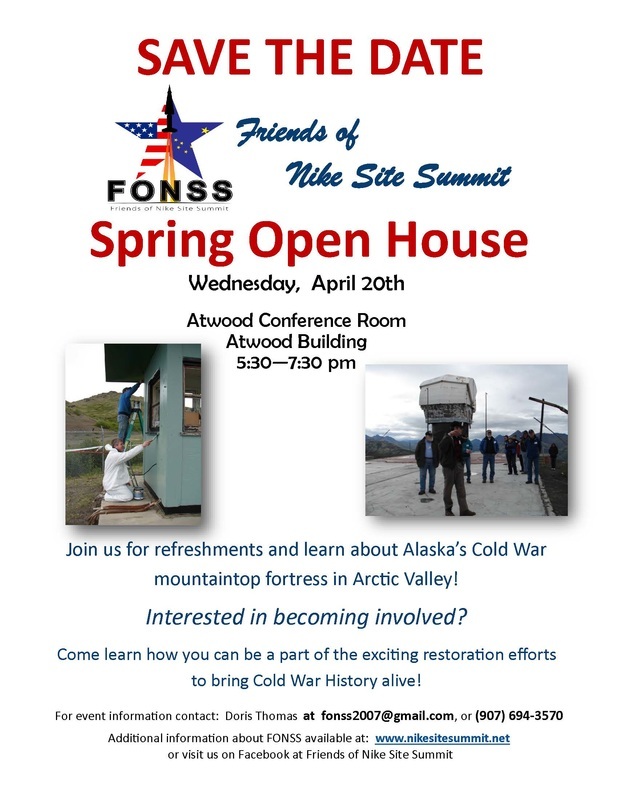 Friends of Nike Site Summit (FONSS) is a program of the Alaska Association for Historic Preservation, a 501(c)(3) non-profit organization, Tax ID# 92-0085097.